For some of us, the Ohio River doesn’t offer the kind of relaxing waterside reprieve we seek in the summertime. But rather than pack up the minivan for a 12-hour trip to Florida, consider a four-hour drive to Ohio’s own waterfront, Lake Erie. Marblehead is a perfect city to experience the cool, deep-blue waters of the Great Lakes. 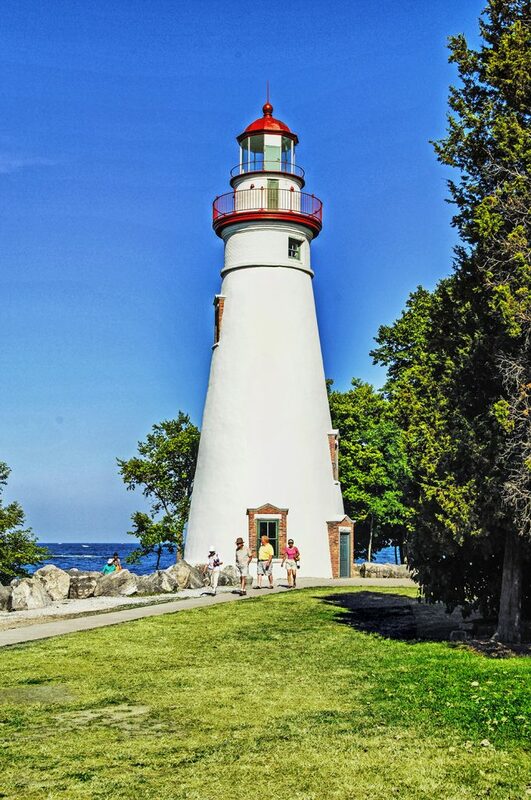 Most first-time visitors gravitate to the well-known Marblehead Lighthouse to see the most photographed place around, but the city has much more to offer. Take in all the rocky shores and the coastline on a boat tour with “Admiral” Jim’s Erie Spirit Adventures. Boat tours are a great way to experience the landscape and to learn more about the area’s history. Ohio born and raised, Admiral Jim has been sailing since 1978 and currently commands the 33-foot Erie Spirit. After the tour, a brief drive will have you at the hometown hit Brown’s Dairy Dock. The Brown brothers, Trent and Tyler, have handed their soft serve concoctions through their window for 25 summers. Enjoy their renowned peach sundae or a dipped cone, because what is a better end to an ideal summer night than ice cream? Maybe a glass of wine. At the Red Fern Inn, the amenities include a complimentary bottle from the inn’s Rocky Point Winery. Both the inn and the winery are located in the historic Marblehead School building, which was built in 1896 from locally quarried limestone. Make sure you climb the spiral staircase to check out the view from the original bell tower.